Bardstown, KY (January 30, 2017) – The Bardstown Bourbon Company (BBCo) announced today that Western Spirits Beverage Company, the makers of Bird Dog Whiskey, Lexington Bourbon and Calumet Farm Kentucky Bourbon Whiskey, is the first to announce that it has joined BBCo’s Collaborative Distilling Program. Western Spirits will work together with BBCo to produce custom whiskey for its brand portfolio. The partners will begin their first distillation this month. The partnership affords Western Spirits the opportunity to work with Bourbon Hall of Fame Master Distiller Steve Nally and The Bardstown Bourbon Company’s first-class distilling team to produce their high-quality bourbon for many years to come. Due to the success of its sold out Collaborative Distilling Program, The Bardstown Bourbon Company recently broke ground on a distillery expansion project. The distillery’s current 1.5 million proof gallon capacity will be expanded to 3 million proof gallons, which will enable BBCo to provide more capacity for current customers as well as take on new customers in 3rd quarter 2017. BBCo can ultimately be expanded to more than 6 million proof gallons within the current design, by adding additional equipment. The Bardstown Bourbon Company plans to open its visitors and events center to the public by Summer 2017. The center will contain one of the largest collections of whiskey in the state of Kentucky. The state-of-the-art whiskey distillery will also include a transparent educational experience and high-end tours and tastings, event space, and eventually, a restaurant and boutique hotel. The Bardstown Bourbon Company is a celebration of the art of making whiskey. No secrets, mythical stories, or fabricated legends, the Bardstown Bourbon Company celebrates the craft of making great whiskey and the Bardstown community that brings bourbon to the world. BBCo started commercial production in September 2016 and is producing whiskey, bourbon, and rye for its own brands as well as for its Collaborative Distilling Program partners. Located in the “Bourbon Capital of the World,” BBCo’s $25 million destination experience includes a first-of-its-kind Napa Valley style campus featuring a state-of-the-art whiskey distillery, unique and transparent educational experience, integrated visitors center, event space, whiskey library and bar, and eventually a restaurant and boutique hotel. Chicago (Jan. 11, 2017) – The Ideal Home Show Chicago (IHSC), presented by Life Storage, returns to Navy Pier (600 E. Grand Ave.) for its third installment, from January 27-29, 2017. The experiential marketplace – the only home show in the city of Chicago – is perfect for new and existing homeowners looking to upgrade, remodel or renovate their homes. The three-day showcase will feature vendors from Chicagoland and beyond eager to demonstrate their new products, and to offer advice, insight and inspiration on remodeling, design, home improvement and spring outdoor projects. Guests will meet local and regional experts offering innovative products, inspiring ideas, helpful tips and exclusive deals. 2017’s Ideal Home Show Chicago will feature vendors specializing in bedroom, office, outdoor, energy efficiency and more. Since kitchen and bathroom remodeling remain the top trends for people upgrading their homes, attendees will find experts in cabinetry, appliances, windows and flooring, including Dovetail Kitchens, offering custom solutions in kitchen and bath remodeling, Renewal by Andersen, replacement windows and doors, Phenix Brick, indoor and outdoor brick staining, Premium Cabinets and Countertops, and Power Home Remodeling, specializing in energy-efficient home remodeling. WGN Radio’s Lou Manfredini, aka “Mr. Fix It,” will broadcast live from Navy Pier Saturday, Jan. 28 from 7-10 a.m.
Friday, January 27, 12 p.m. – 8 p.m.
Saturday, January 28, 10 a.m. – 7 p.m.
Sunday, January 29, 10 a.m. – 4 p.m. The Show will take place at Navy Pier in Festival Hall B, with parking conveniently located beneath the showroom. New SpotHero users can save $5 using code IDEALHOME17. Commuters can earn $5 off their first 10 rides from Lyft when they download the app and enter code 50BONUS. 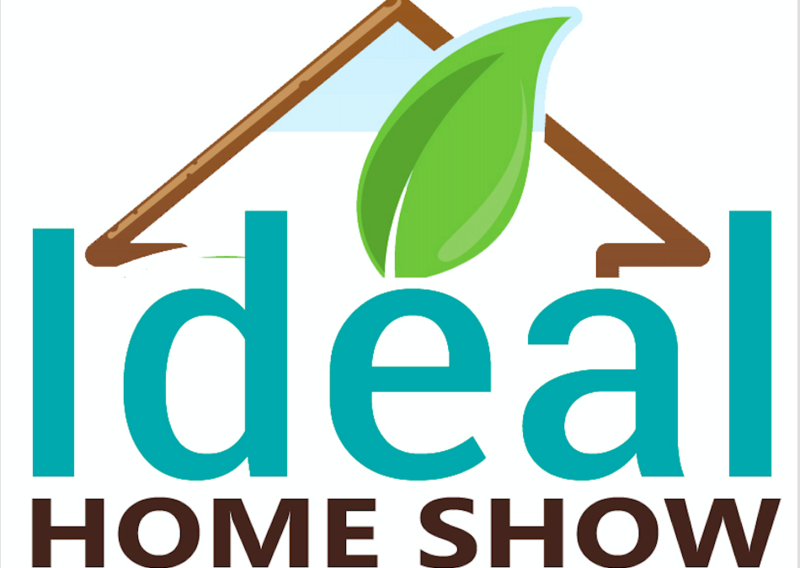 For more information, including a full stage schedule, visit idealhomeshowchicago.com. Follow Ideal Home Show Chicago for show updates and helpful home tips on Facebook and Twitter, and engage using hashtag #idealhomeshows. Ideal Home Show Chicago offers consumers a comprehensive, face-to-face shopping opportunity, connecting new and existing home owners with companies offering home improvement, remodeling and décor, and outdoor living products, services and expert advice, to help them create the ideal home and life year round. Located on Lake Michigan, Navy Pier is the top attended leisure destination in the Midwest, stretching more than 6 city blocks and welcoming more than 8 million guests annually. Originally opened in 1916 as a shipping and recreation facility, this Chicago landmark showcases more than 50 acres of parks, restaurants, attractions, retail shops, sightseeing and dining cruise boats, exposition facilities and more. Navy Pier, Inc., a 501 (c) (3) not for profit organization, maintains and oversees Navy Pier and its redevelopment into a bolder, greener and more contemporary urban space. For more information, visit www.navypier.com.